We have another amazing freebie for you today. 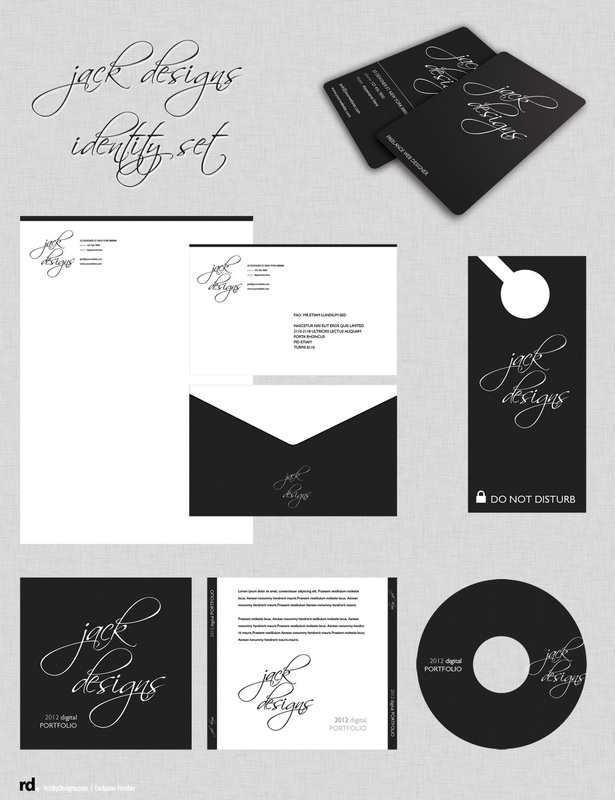 Exclusively designed for us by Robby from RobbyDesigns.com, we have a free corporate identity package called ‘Jack Designs’. The download includes PSD templates for business cards, CD covers (front & back), envelopes, letterheads, door-handles and even a mousepad template! 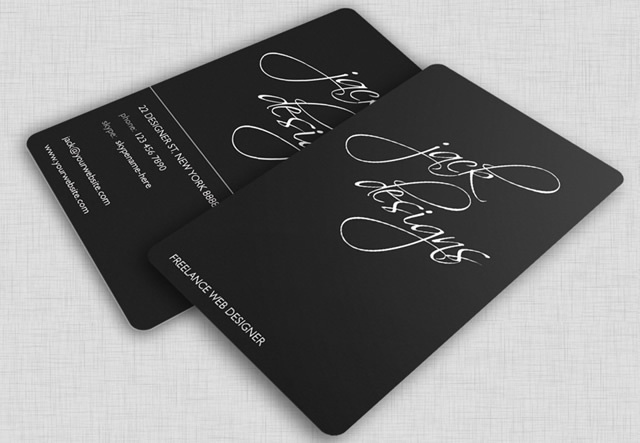 ‘Jack Designs’ is a corporate identity design package for those who appreciate elegant and clean design. The package includes templates for business cards, CD covers (front & back), envelopes, letterheads, door-handles and a mousepad. All of the templates are CMYK 300DPI PSD files, perfect for hiqh quality printing. Free for personal and commercial use, but no re-sale or re-distribution is allowed. Note that each PSD includes a layer detailing margins, these may vary depending on the print service you use. Always test print the design before sending to a paid print service.